"Jack the Giant Killer" has started filming and production in London. 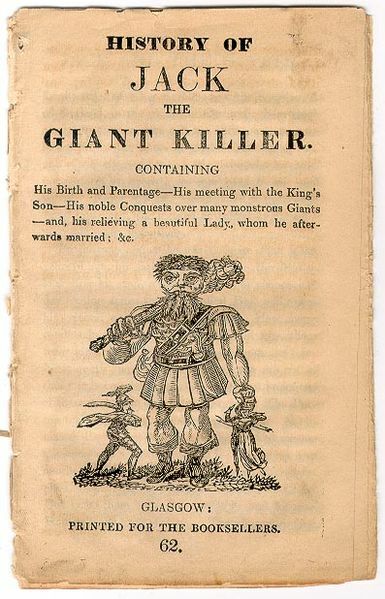 "Jack the Giant Killer" is based on a classic fairytale from England in which a young boy is able to kill giants with his strength and more so his mental wit. The story was really gory and violent (this is no Disney fairytale folks) so we are pretty curious how this will translate on the big screen. The film headlines Nicholas Hoult as Jack and being directed by Brian Singer. Catch the official press release after the jump. Burbank, CA, May 27, 2011—Principal photography is underway in London on acclaimed filmmaker Bryan Singer’s 3D epic action adventure “Jack the Giant Killer,” with Nicholas Hoult in the title role of Jack, for New Line Cinema and Legendary Pictures. “Jack the Giant Killer” tells the story of an ancient war that is reignited when a young farmhand unwittingly opens a gateway between our world and a fearsome race of giants. Unleashed on the Earth for the first time in centuries, the giants strive to reclaim the land they once lost, forcing the young man, Jack, into the battle of his life to stop them. Fighting for a kingdom, its people, and the love of a brave princess, he comes face to face with the unstoppable warriors he thought only existed in legend—and gets the chance to become a legend himself. Hoult and Singer recently collaborated on the Singer-produced “X-Men: First Class,” for release later this year. “Jack the Giant Killer” also stars Eleanor Tomlinson as Princess Isabelle; Stanley Tucci (“Captain America: The First Avenger,” “Julie & Julia”) as the deceitful Lord Roderick; Ian McShane (“Pirates of the Caribbean: On Stranger Tides,” HBO’s “Deadwood”) as the besieged King Brahmwell; Bill Nighy (“Harry Potter and the Deathly Hallows”) as the giants’ leader General Fallon; and Ewan McGregor (“Star Wars,” “The Ghost Writer”) as palace guard Elmont. Singer will direct from a screenplay by Darren Lemke and Christopher McQuarrie and Dan Studney, story by Darren Lemke & David Dobkin. The film will be produced by Neal Moritz, David Dobkin, Bryan Singer and Patrick McCormick. The creative filmmaking team includes Singer’s longtime collaborators, director of photography Newton Thomas Sigel (“X-Men,” “Superman Returns”) and editor John Ottman (“X2,” “Superman Returns”). The production designer is Gavin Bocquet (“Star Wars: Episode III – Revenge of the Sith”). “Jack the Giant Killer” is scheduled for a June 15, 2012 release date. A New Line Cinema presentation, in association with Legendary Pictures, the film will be distributed by Warner Bros. Pictures, a Warner Bros. Entertainment Company.